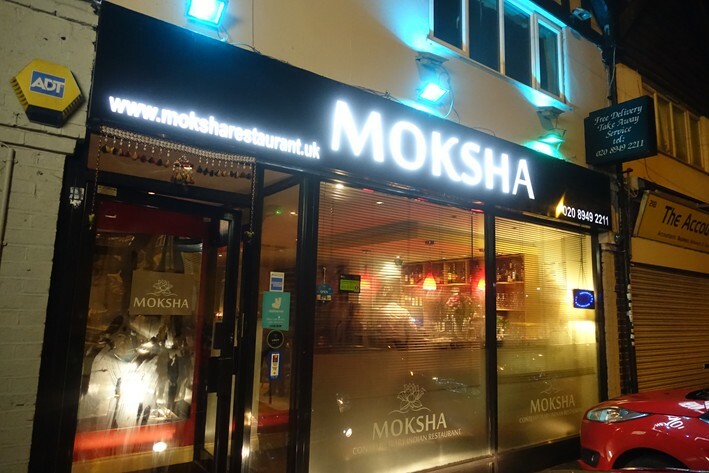 Moksha (“rebirth”) opened in early 2017 in New Malden, the first restaurant venture of a group of people that had worked in hotels in Mumbai. The décor is simple but pleasant, and the menu is aiming higher than standard high street fare, with some unusual dishes such as venison jaipuri on the menu in addition to more conventional north Indian food. 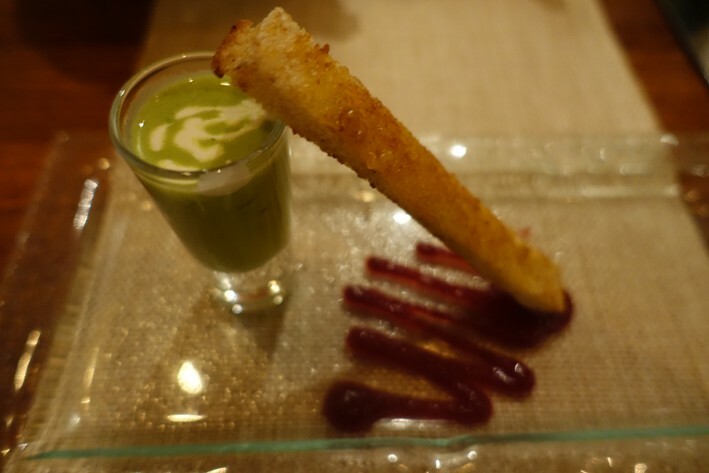 An amuse-bouche had pea shorba with a little strip of garlic bread and beetroot sauce. I am not sure what the bread really added but the pea shorba itself was very good, the spicy pea flavour coming through well (13/20). 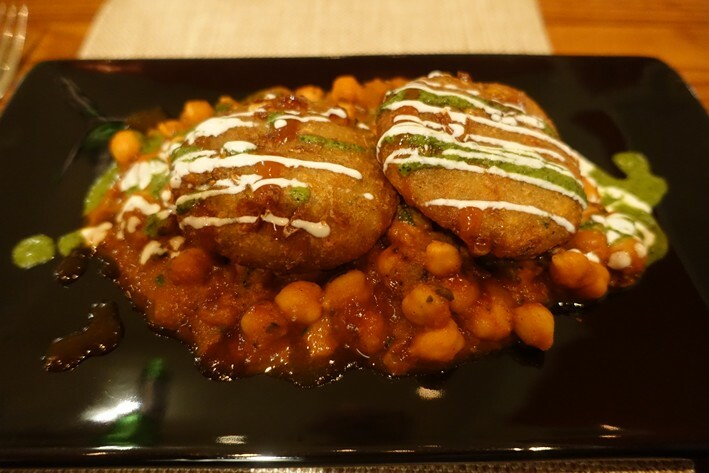 Makki tikki chollay comprised potato and sweet corn cake with Punjabi style chollay i.e. chickpeas cooked with onions, tomatoes and spices. This was nicely made, the spices nicely lifting the flavours of the vegetables, the texture good (13/20). 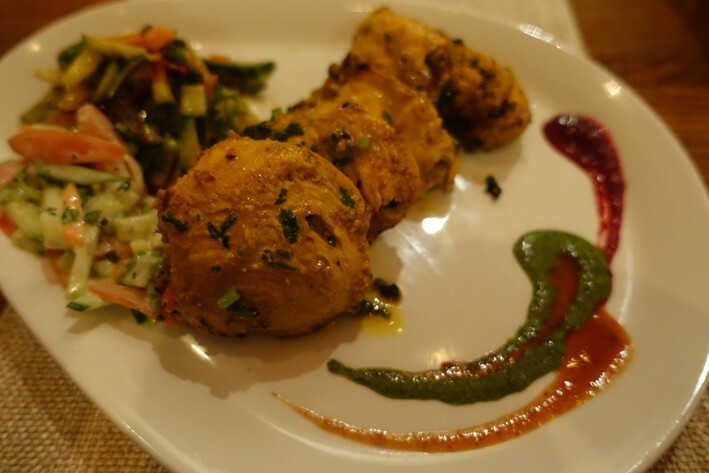 Achari murgh had four generous pieces of chicken that had been marinated and pickled with mustard oil, garlic and ginger before cooking in the tandoor. The chicken itself was very tender and cooked evenly, the touch of sourness of the marinade coming through well (14/20). Prawn biryani had a pastry lid covering the dish, and inside the rice was fragrant and aromatic, the prawns tender (13/20). 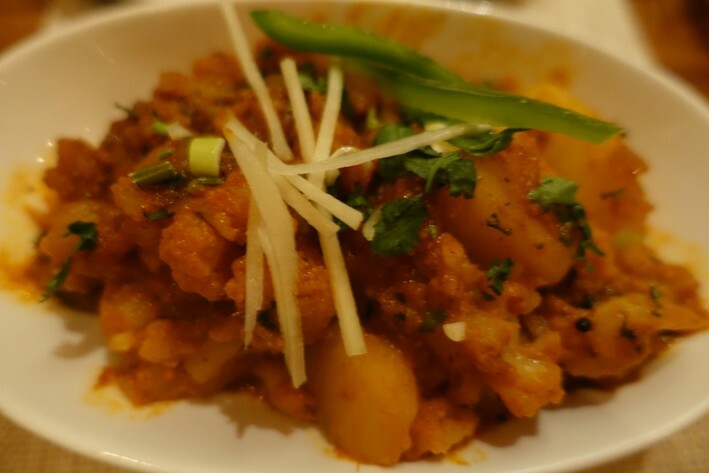 Aloo gobi had good cauliflower but rather undercooked potatoes. Often Indian restaurants overcook their potatoes, which is even worse, but these were not quite right (12/20). 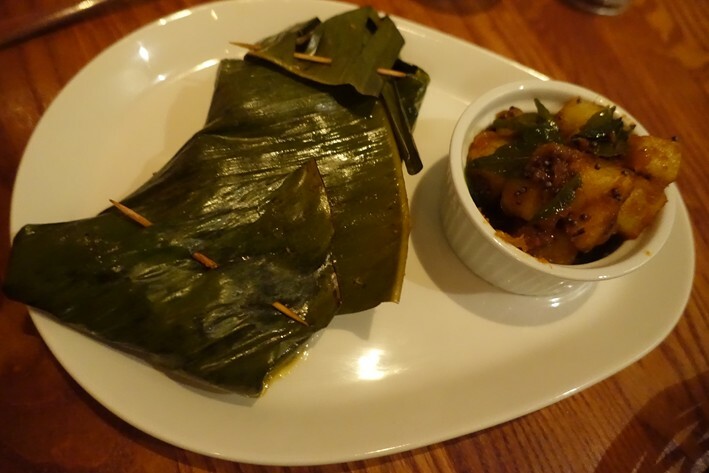 Sea bass with green chutney cooked in a banana leaf is a classic Parsee (who are Indian descendants of Persians) dish. The fish was farmed but was accurately steamed in the leaf, and the chutney with it was lively (13/20). 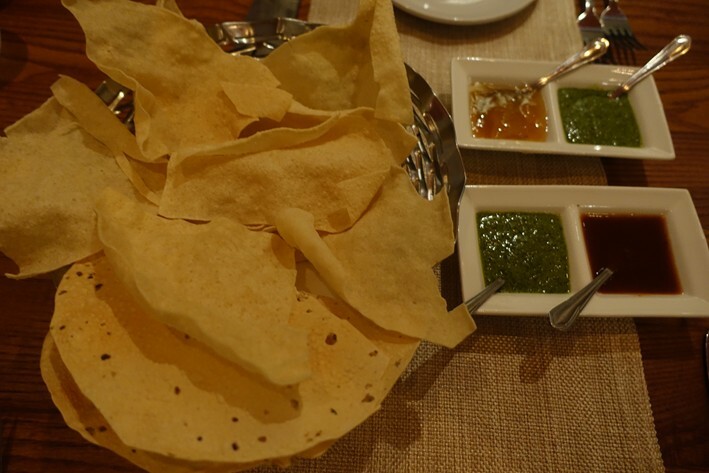 Naan bread was soft and supple, made to order rather than hanging around getting hard as at some restaurants (13/20). Black dhal was on the side had a pleasant smoky flavour (13/20). Desserts were all made in house. 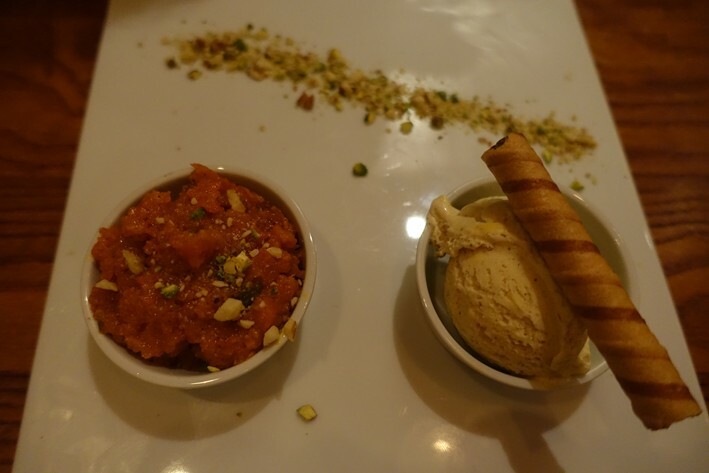 Carrot halwa was very good, the texture excellent (14/20). 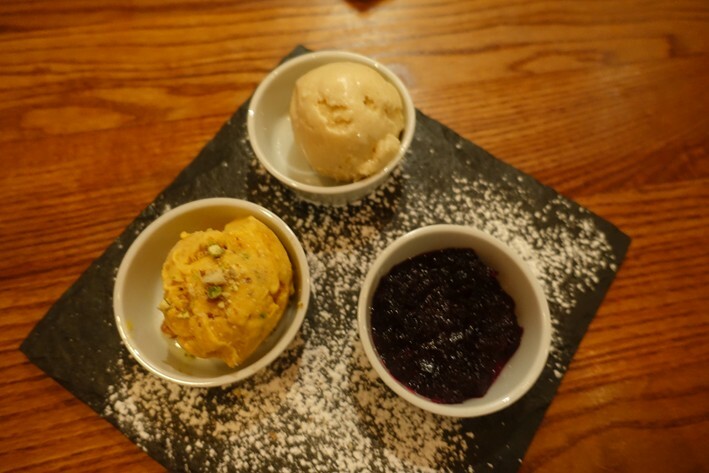 A trio of kulfi (mango, pistachio and beetroot) was also good, the respective flavours coming through well (13/20). 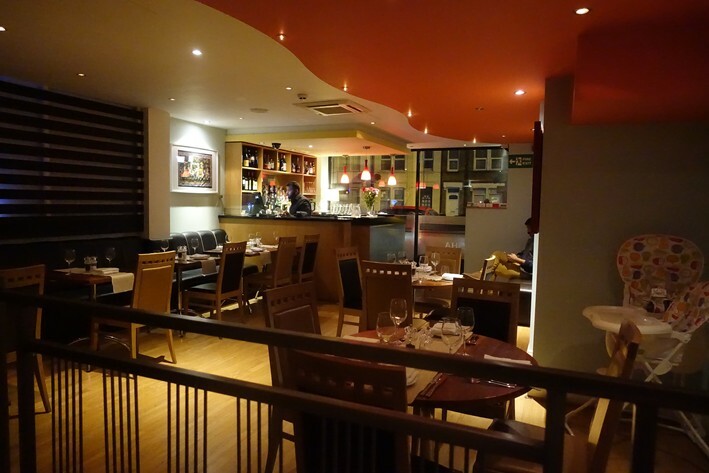 Service was excellent and the bill, with plenty of beer to drink, came to £41 per person. Portions were very generous, almost too much so e.g. the side order of dhal would have easily fed half a dozen people. 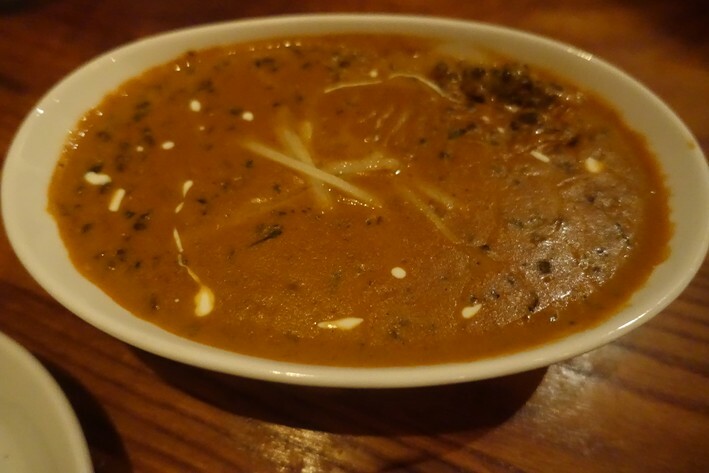 Overall I enjoyed Moksha, which is serving food that is definitely a cut above the norm for Indian restaurants. If you are in the area then give it a try.